Tip: Use scarves like above and you don't have to finish all the edges. A kaftan is simply a cover up, perfect for the beach or pool. I made this simple pattern that explains everything. You can use scarves, fabric, even a large blouse like I did. Basically it's 2 rectangles sewn together. Allow for 1/4 inch seam allowance to finish the edges. You will place front/back with wrong sides together. 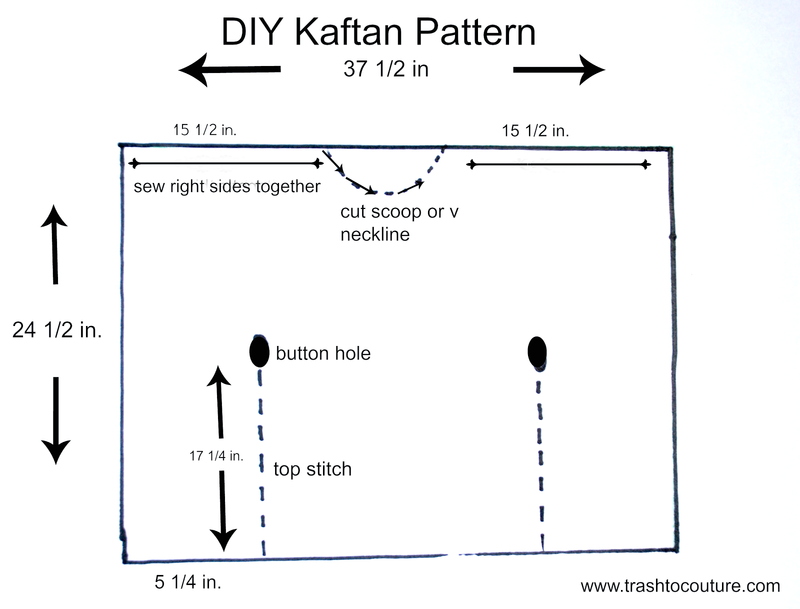 Begin by cutting a scoop for the front and back neckline. If you want a v-neck, cut that only on the front piece. Finish edges and Add trim down the front and along the neckline -optional-. Next place them right sides together and sew along the top next to the neckline. As shown in the picture. Flip out again so wrong sides are together. Top stitch front and back together on both sides 5 1/4 in. from each side. 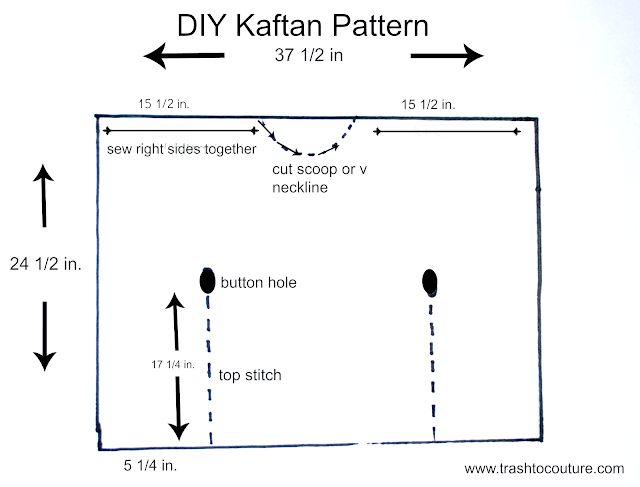 Add a button hole at the top point. Use a sash through the button holes and tie back or front. Finish all edges 1/4 inch. To lengthen or widen just change the measurements. Waoooo!!!! very cool tutorial...I try!!! You should know how to write a descriptive if you want to be successful student. It will help you to get a high grade.